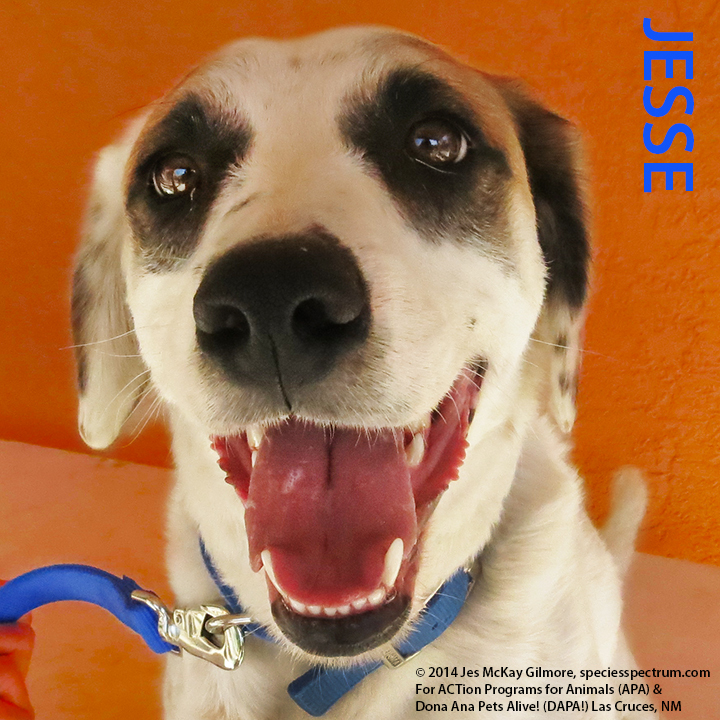 Dispelling the Myth of Shelter Dogs – We are Adoptable! 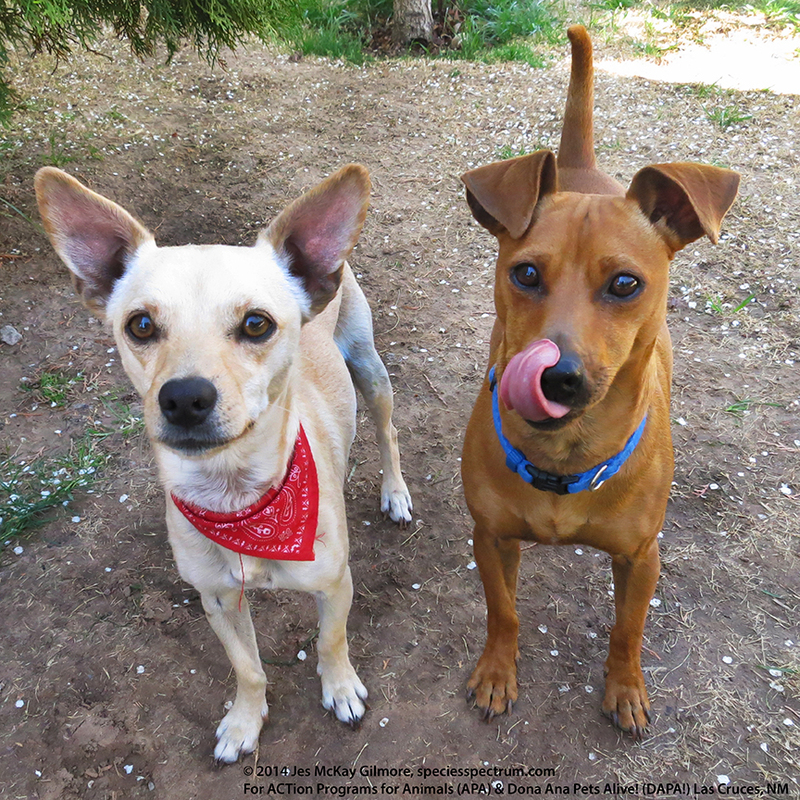 Wilbur Chihuahua & Ranger Chiweenie are currently looking for a home! Right now, today! They are excellent examples of shelter dogs with everything going for them, except they have no family to call their own. We often hear the numbers associated with animal rescue. What is left untold are the many stories of the animals passing through animal shelters. People are at times surprised to hear that the wonderful dog they just met was once on his last day at the animal shelter. Many are in fact truly adoptable, still smiling, playing and loving life. Shelter dogs are NOT always riddled with dysfunction. Sometimes they need a little guidance just like any dog. Sometimes they are the easiest dog to live with you could have ever imagined! I spent a Saturday morning photographing some of these available dogs looking for their forever home. Photographing dogs sounds simple. Get out a yummy treat, make a chicken clucking sound for the endearingly cute dog heat tilt. Snap. Done. Instead I ended up with a whole group of dogs, large and small, all racing around a big backyard. Wilbur, Ranger, Duke, Shawna, Jesse and Tempura are just a small sampling of the dogs passing through the local area animal shelter each week. There’s no way I can photograph every good dog that ends up homeless. 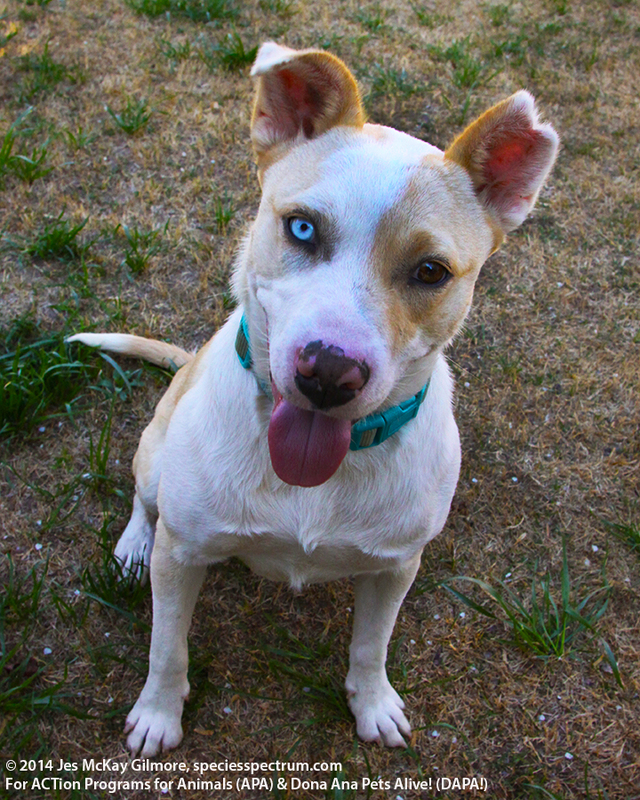 Zeus is an active boy, smart, trainable with one blue eye. 1. ADOPT. DONATE. EDUCATE. VOLUNTEER. FOSTER in your community. 2. SUPPORT legislation that seeks to end puppy mills. 2. ENCOURAGE people considering a particular breed to look into breed specific rescue. 3. GET a cool shelter dog! Do you know his story? Tell people. 4. 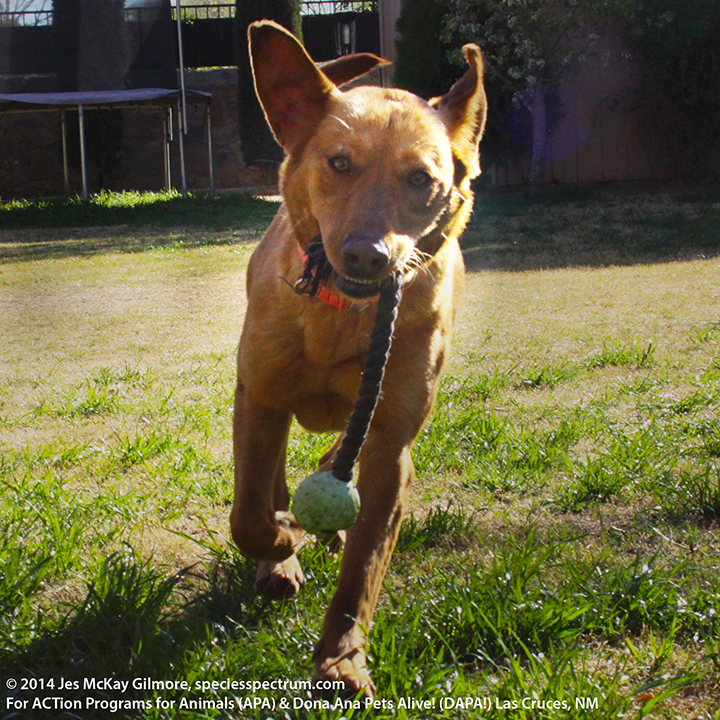 TRAIN your dog to be the best canine citizen he can be. Make him a COOL former shelter dog. 6. PET FRIENDLY: If you’re a landlord, work to make it possible for renters to have a pet. 7. SPAY/NEUTER your PET. There are many low cost options available. Sometimes it’s even FREE. Even pure bred dogs end up at the shelter like Duke, the perfect black labrador! Meet Duke, a beautiful, sweet pure bred black labrador. He worships the tennis ball and joyful retrieving. While there are many wonderful breed specific rescue groups, they don’t always have room for another dog. 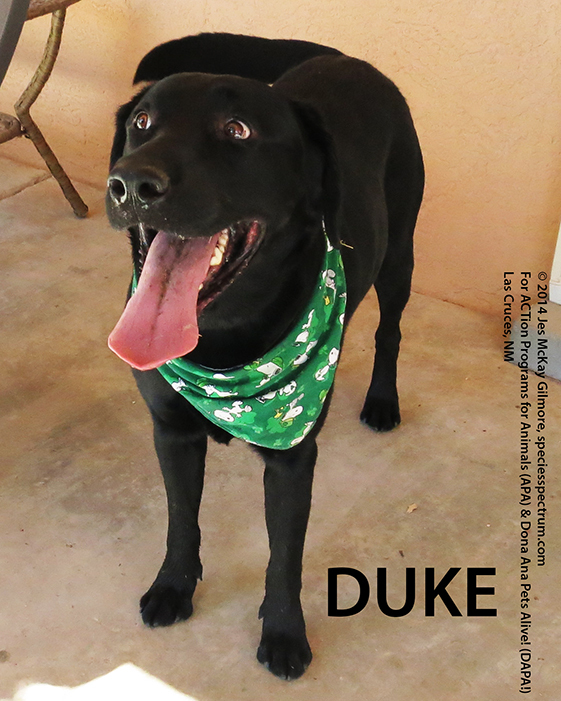 Duke was lucky to land in the care of ACTion Program for Animals, Las Cruces, NM. 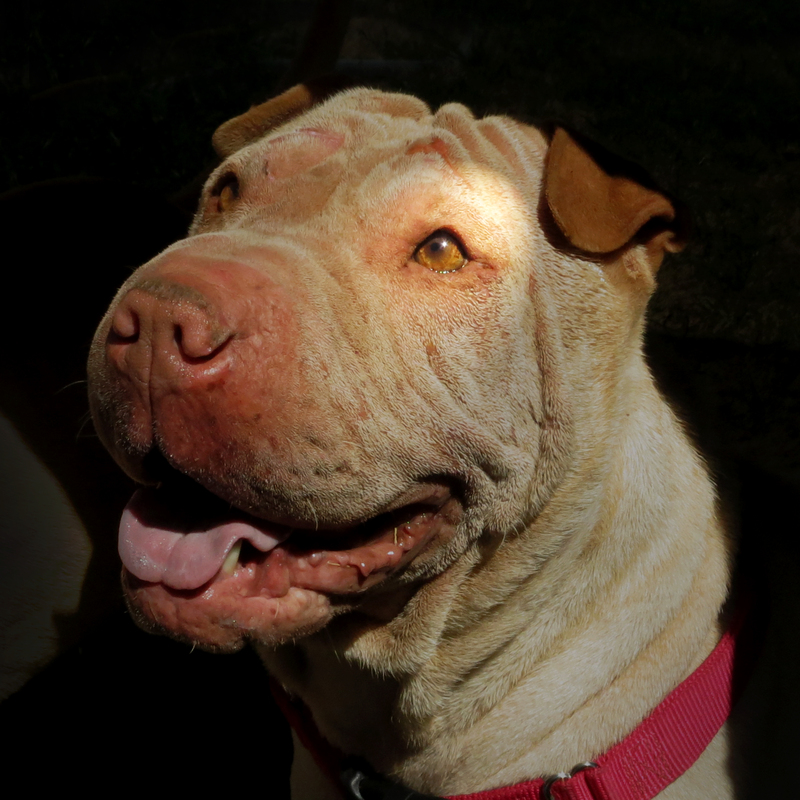 Tempura, a pure bred shar-pei. Species Spectrum seeks to personalize the public’s association with rescue and to acknowledge the dedicated individuals and small non-profits working tirelessly to ensure that more dogs, cats and other pets find their forever home. Please consider adding a shelter dog(s) to your family. Thank you if you already have a shelter dog, cat or other pet. Check speciesspectrum.com again soon because a few of these wonderful dogs will be featured in our upcoming greeting cards!